Exploded Lace Doily - Spun Fibre Arts, a local and online yarn store specializing in natural fibres. 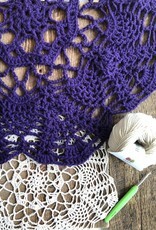 Learn the intricacies of crochet lace with a big hook and DK or worsted weight yarn. 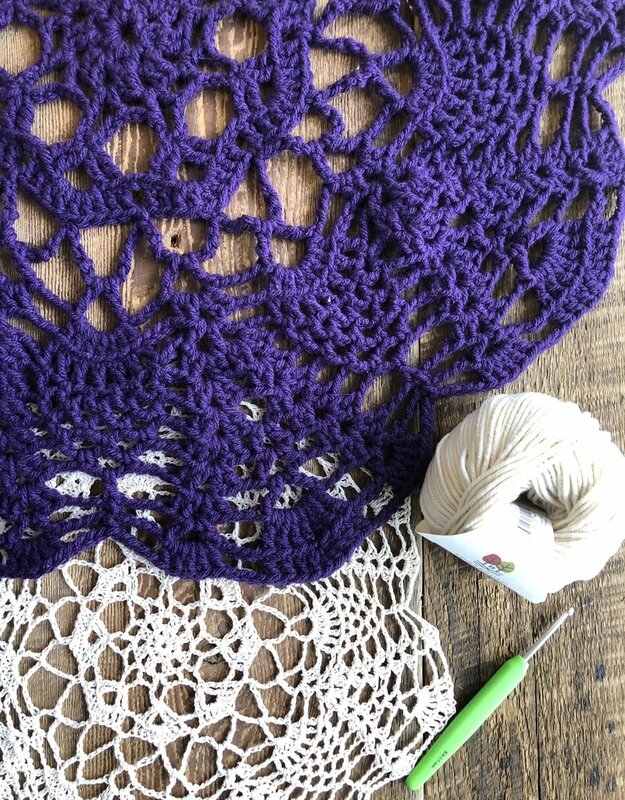 This is an easy way to learn the techniques used in making crocheted lace and doilies without the eye strain when using fine thread and very small size hooks. Pictured are one large format doily and one small regular size doily - same pattern! Prerequisites: A basic understanding of crochet is necessary.